Voting results of the revenue share FY2015 project proposals. This entry was posted in Meeting Agendas on April 28, 2016 by Chris Boone. I. Meeting called to order 6:40 pm. IV. Assembly Report: Resolution proposed by Kowalke to put a moratorium and the cultivation and sale of marijuana in the non-municipal areas of the borough. Borough wide mill rate to stay the same at 9.98. V. TCCSA CIP Report: CIP#4 $8,982.75 remaining of $10,000. Upper Susitna Food Pantry is requesting $3,500 to purchase food and pay for transportation. 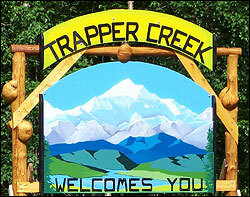 TCCSA is requesting $14,400 for Trapper Creek Park and Cemetery operating costs. Winter Trail Grooming is requesting $2,500 for the grooming of the local winter trails. Upper Susitna Soil & Water Conservation is requesting $7,685.84 for an ongoing YCC program. 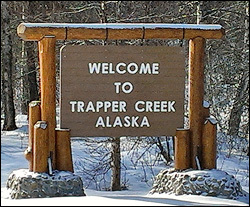 The project is AK Forest Inventory, a 4 day project called Talkeetna to Trapper Creek Experimental Form. All applications are found to meet the criteria set forth by the borough. XII. New Business: Revenue Share Program for fiscal year 2016 was approved by the borough in the amount of $19,300. This funding will more than likely not be utilized before 2017. This entry was posted in Meeting Minutes on April 28, 2016 by Chris Boone. Accepting the revenue share FY2015 project proposals. As a reminder the voting will be April 25, thru May 14, 2016 at Trapper Creek Library during regular business hours. Revenue share program for fiscal year 2016 was approved March 15, 2016 by the Matsu-borough for $19,300. Since we are currently accepting project proposals for FY15, this funding most likely will not be utilized until 2017. This entry was posted in Meeting Agendas on April 7, 2016 by Chris Boone. I. Meeting called to order 6:34 pm. X. Public Forum: The Dooley’s spoke regarding the variance at the Trapper Creek Inn. This entry was posted in Meeting Minutes on April 7, 2016 by Chris Boone.